Which Surfboard is on Your List? We built a wide array of surfboard models to help you catch waves early and often. The Secret Menu model started out as an experiment way back in the Old Newport Blvd days. The mini-simmons was gaining serious steam across the California coast, but we recognized fairly early on that the beautiful San Diego Mini Simmons boards that were grabbing everyone's attention (and imagination) did not really align with our Newport beach-breaks. The waves in Newport don't often have the long running lines, or big open faces that San Diego County is blessed with, so we had to design a version that was more ideal for less ideal waves. Primarily this came in the form of trimming the corners off the tail, and drawing more influence from some of the fishes we were making, in terms of where we hid the foam. As with all of our surfboard models, early wave-entry is a key foundational necessity, so packing foam into the right places is key to make the board paddle well, without feeling overly clunky. The benefit and down-side of surfing in Newport Beach is that we are very well versed in consistent yet marginal quality waves (with a few epic days a year). So we aim to build surfboards that make the most out of average conditions, and will hopefully excel on the better days. The Secret Menu captures this reality perfectly. It is intended to catch waves early and often, generate speed on soft waves, and yet still complete turns. And as we have seen demonstrated by guys like Drew Meseck, this little guy works in places like Bali also. Drew actually told me after his trip that his 5'0 Secret Menu would be the one board he would bring next time, if he could only bring one. A surfboard for Christmas is a memorable and special thing. It's a gift that will last many years to come, and one that has immediate benefits for the recipient. Every year we try to reward our customers for placing their Christmas board orders early. This year, we have a diminishing promo sale. $120 off your custom order if you get it in by the end of the day on Monday (10/24). The discount cuts in half to $60 the following week, and $30 the week after. Ending with our Christmas board cut-off for custom orders on Nov 5! If you want a board by Christmas, get your order in by Nov 5th. We're doing our best to make it worth your while to order early. 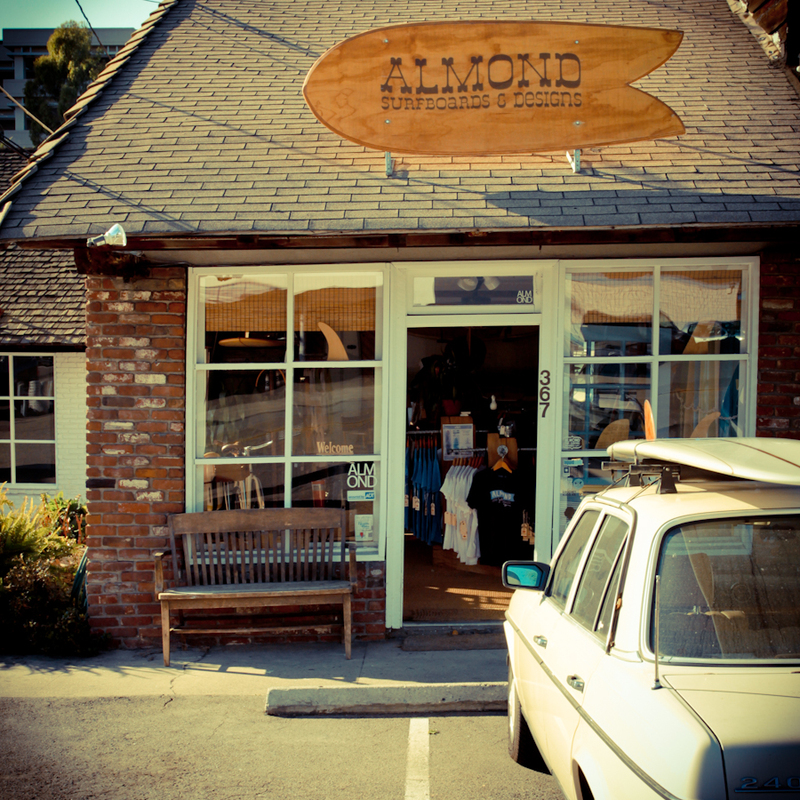 Almond Surfboards | Shaping with Griffin NK from Almond Surfboards on Vimeo.